Did lottery originated from Queensland- Let's find out! You will be amazed to know that in Australia, lotteries were a feature of colonial life from the 1830s onward and were not illegal. The first state-run lottery did not commence until after Federation when the Queensland Golden Casket lottery began in 1916. The Golden Casket was permitted because its proceeds were used for philanthropic purposes. Other states followed thereafter with their own state authorised lotteries. Now one of the major Australian Lotto organisations is the Queensland Lottery company – the Golden Casket Lottery Corporation. 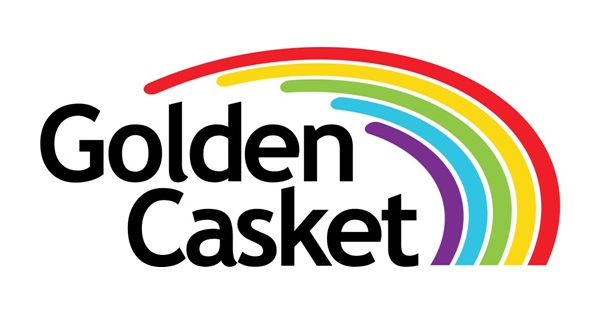 Golden Casket is recognised as one of the world’s leading lottery organisations and was owned by the Queensland Government from 1920 to 2007. On 29 June 2007 Golden Casket Lottery Corporation became a wholly owned subsidiary of the Tatts Group. During 2004-2005 Golden Casket had an annual turnover of more than $813 million and returned almost $203.6 million to the Queensland Government to support a variety of community projects, for benefit of the people of Queensland. Golden Casket has operated in Queensland since 1916. 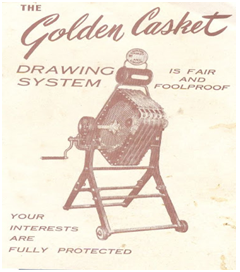 The first Golden Casket draw lottery was conceived by the Entertainment Committee of the Queensland Patriotic Fund to raise funds for veterans of World War One. The historic drawing of the first Casket was conducted on 14 June 1917, and was held at the Brisbane Stadium (was Festival Hall). First prize was a casket of gold to the value of £5,000 (the equivalent of 30 years’ salary), since cash prizes were not permitted by law. This casket was immediately bought back from winners for the cash value of the prize. The word ‘casket’ (being a small box of fine workmanship for jewellery and precious items) was thus enshrined in the name of the Queensland run lotteries. The Queensland Government took over running Golden Casket in 1920 and within just one year, the profits of Golden Casket were raising two per cent of the Queensland Government’s total budget. In the early days, Golden Casket had just one Art Union. Over the years it increased its frequency and type of games and today gives away more than $400 million in prizes per year through a range of lottery games. Since 1992 Golden Casket has directed $1.5 million each year to Queensland Health for special projects relating to children’s health. 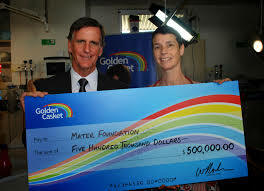 Both the Royal Children’s Hospital Foundation and the Mater Children’s Hospital Trust have received $500,000 each per year. The remainder is allocated to a range of children’s health projects throughout the State. The Golden Casket Foundation was officially announced as a key addition to the Queensland Government’s Smart State Policy on 18 April 2005. Established to fund worthwhile Queensland-based initiatives, it is envisaged the Golden Casket Foundation will continue to positively impact on the lives of many Queenslanders both now and in the future. Golden Casket nearing to its century has provided entertaining games of chance to Queenslander’s and generated much needed funds for worthwhile community projects all over the State. Golden Casket markets the well-known brands of Gold Lotto, Oz Lotto, Powerball, Instant Scratch-Its and The Pools which are as much a part of Queensland life as beaches and BBQ’s. The aim of Gold Lotto is to match as many winning numbers drawn from the barrel as possible with the numbers in a single game on your ticket. Gold Lotto has forty-five balls numbered 1 to 45 from which eight are selected randomly during the draw. 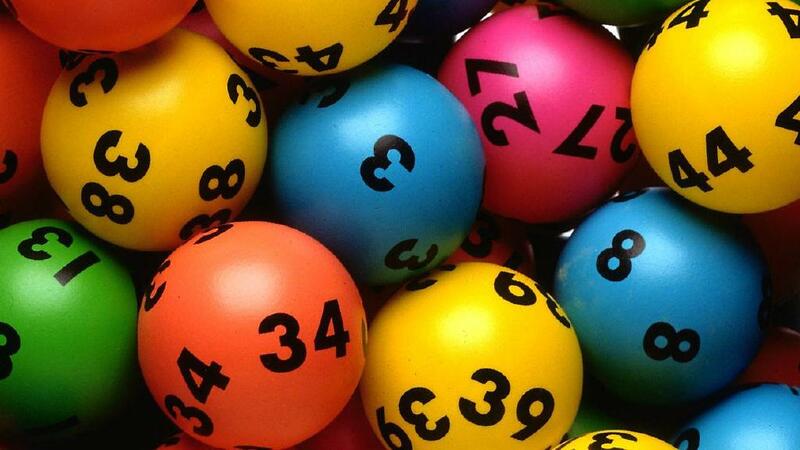 The first six balls drawn are the “winning numbers” and the last two drawn are the “supplementary numbers”. You win if you match the right combination of winning and supplementary numbers with your entry. Gold Lotto is drawn Saturday, Monday and Wednesday nights and is broadcast at approximately 8:30pm on 7TWO in Queensland, and affiliated regional stations. Results are available online shortly after the draw has been conducted. Saturday Gold Lotto offers the chance to share in an estimated $4 Million Division 1 prize pool each Saturday as well as Super draws of up to and over $20 Million throughout the year. Saturday Gold Lotto also offers you the chance to play and win $30 Million or more in the special Mega draw event held during Christmas/New Year period. Monday and Wednesday Gold Lotto offers the chance to win a guaranteed $1 Million Division 1 prize each Monday and Wednesday for up to four winners (if there are more than four winners the total is shared). QuickPicks are perfect if you are playing lotto for the first time because your numbers are generated at random for you. QuickPicks are available in the following sizes: Regular QuickPick – 12 Games, Super QuickPick – 18 Games, Mega QuickPick – 24 Games, Jumbo QuickPick – 36 Games, Maxi QuickPick – 50 Games. You can mark your favorite numbers on a coupon: Take a Gold Lotto coupon at your local Golden Casket Outlet or select your numbers when you buy Gold Lotto online Mark 6 numbers in each game panel, Play 4 – 18 game panels. System Entry gives you the option to play more numbers per game for a greater chance to win. As an example, to win Division 1 in Gold Lotto, you need all six winning numbers. To increase your chances of winning, you could play a System 9 which means you get to choose nine numbers for that game rather than the usual six, giving you 84 equivalent games. Have a Gold Lotto coupon; Mark 7 – 20 numbers in each game panel (e.g mark 9 numbers for a System 9 Entry etc). Play 1 – 50 games on a QuickPick, Play 1 – 18 games on a marked coupon, Mark the “System/Pick” check box on your coupon or select this option when you buy Gold Lotto online. In Pick entry you can guarantee yourself either one or two of the winning numbers required to win that game. As an example, if you play a Pick 4 Entry for Gold Lotto, you are guaranteed two out of the six winning numbers, and you only have to pick the remaining four winning numbers in that game panel. Take a Gold Lotto coupon, for a Pick 4 entry – mark 4 numbers in each game panel (gives you 2 out of the 6 winning numbers). For a Pick 5 entry – mark 5 numbers in each game panel (gives you 1 out of the 6 winning numbers). Play 1 – 50 games on a QuickPick, Play 1 – 18 game on a marked coupon. When playing a Standard, System or Pick Entry, if you have marked only a few game panels and want to play a bigger entry, all you have to do is ask for a Top Up. The remaining game panels are randomly generated for you as standard games up to 12, 18, 24, 36 or 50 games. Inform your Retailer of how many games you want to top up to or, if you are purchasing online, you can select the ‘QuickPick row’ or ‘QuickPick un-filled games’ options to Top Up a Standard, System or Pick Entry. In case you don’t want to miss getting your Gold Lotto entry in, have a Multi-week entry! It allows you to play the same numbers in your favorite Gold Lotto game for 2 to 10 weeks at a time. Winners Circle members can store up to 50 sets of favorite games and numbers on their Winners Circle card. Present your card at your local Golden Casket Outlet and ask to play a Favorite. You can record any marked coupon or QuickPick entry as a favorite. Online members can also save Favorites for use when buying online. Favorites recorded to a Winners Circle card which is linked to an online account can be played both online and in-store at a Golden Casket Outlet. 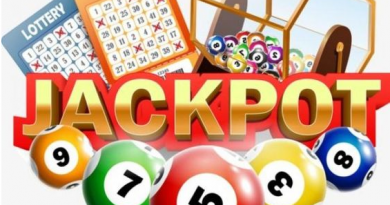 This game guarantees a minimum division one prize pool of $3 million every Thursday and can jackpot to $50 million or more, Powerball could give you the power to change it all. 6 balls are drawn from 40 balls numbered 1 to 40 from the first barrel and 1 Powerball is drawn from 20 balls numbered 1 to 20 from the second barrel. To win first division you need to match all 6 winning numbers plus the Powerball in a single game. Powerball is drawn Thursday nights and is broadcast at approximately 8:30pm on 7TWO in Queensland, and affiliated regional stations (check your local TV guide). With a PowerHit, to win Division 1, you only need to match the first six winning numbers. 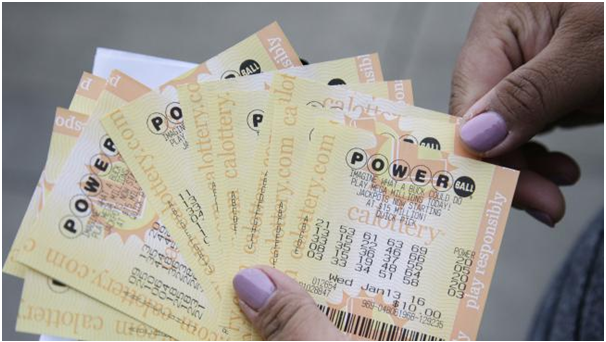 A PowerHit40 entry is equivalent to 40 standard Powerball games. You can buy in-store at your local Golden Casket outlet. Ask for a PowerHit40 QuickPick; or can have a Powerball coupon and mark at least two game panels, ensuring that you also mark the “PowerHit” box in each corresponding Powerball panel. You can buy online. Choose a PowerHit40 entry then add to your card; or choose your own favourite numbers across the number of games you have selected. Oz Lotto for Australians is BIG jackpots guaranteeing a minimum division one prize pool of$2 million and can jackpot to $50 million or more! Oz Lotto is drawn each Tuesday night and is broadcast at approximately 8:30pm on 7TWO in Queensland, and affiliated regional stations (check your local TV guide). Lucky Lottery is a jackpotting game where the winner takes the lot. Both the Lucky Lotteries Super Jackpot game and the Lucky Lotteries Mega Jackpot game have a set number of tickets to be sold. Once all the tickets in a draw are sold the draw for that particular game can take place. To buy a ticket, complete a Lucky Lotteries entry coupon, buy online or simply ask your Golden Casket retailer for a Lucky Lotteries ticket. Choose which draw you would like to enter: current or 1 – 10 advance draws for Lucky Lotteries Super Jackpot or current or 1 – 2 advance draws for Lucky Lotteries Mega Jackpot. If you’re a soccer fanatic then The Pools is the product for you. Each week, various European and Australian soccer matches are assigned a number from 1 to 38. The Pools six winning numbers are based on the results of those matches played. “Drawn” is when both teams score the same number of goals. To win, all you need to do is select which of the week’s matches will end with a drawn result. Super 66 gives you chance to win whenever you play Saturday or Wednesday Gold Lotto, Oz Lotto, Powerball or The Pools. You can add a Super 66 entry to your QuickPick entry or on your marked coupon and it costs just $1.10 per game. When you play, a six-digit number is randomly generated for you compiled from numbers 0 – 9. Six balls are drawn every Saturday night after the Gold Lotto draw and the more numbers you match in order the more you win. You can buy the Oz Lotto, Powerball and Gold Lotto entries online directly from the website. Register yourself online with easy single steps. You have to be 18 and above years of age and a resident of Queensland to register online. Once you have open an account you can deposit and make online purchases whenever you wish. There are no minimum account balance or spend requirements and tickets are the same price as at Golden Casket retail shops. Once you’ve registered, you’ll receive a welcome email with your member log-in details you can check your full transaction history online through your account. If you have funds in your lotto account you can buy a QuickPick in 60 seconds and also play favourites (including favourites on your Winners Circle card) and you can buy them all from a single page. You can also transfer funds into account using BPay or with Visa or MasterCard through a secure payment gateway. If you win from an online purchase and you will be emailed and informed automatically. Your money will be deposited the money directly into your lotto account, usually the next day. Your all online transaction is secured. Provide your Winners Circle card number when you join and you can view all your Retail transaction history, have prizes paid into your online account and pay your card fees online. All members are required to confirm age and identity before being able to withdraw funds from your account. You have 90 days to verify your account which you can do quickly and easily online. Winners Circle is the membership program that gives you the safest way to play, and offers you next day automatic prize payments direct to your online account, use your card to add your favourites and participate in weekly bonus draw. Every time you use your Winners Circle card in-store, and if you’ve won a prize you will receive automatically your prize cheque, or have deposit the prize money into your online lottery account or into your bank account, 4 weeks after the last draw on the ticket. If you have a Winners Circle card and you lose a registered ticket or your card, a security ‘stop’ can be placed on your ticket, preventing it from being paid to someone else, provided it hasn’t already been claimed. Linking your Winners Circle card to your online account for online access to view your ticket and prize history (including unclaimed retail prizes), setup online prize payments, keep your details up to date, check your tickets and pay your card membership fees. Exclusive to Winners Circle members, every week 5 lucky members each win $5,000 in the Bonus Draws. There’s $1.3 million in bonus prizes given away to Winners Circle members in a year.Using your Winners Circle card when you play lotto and you’ll automatically receive 1 entry in a draw for every $1 you spend. Online purchases are also eligible where members have an active Winners Circle membership linked to their online lottery account. Join online and you’ll get an online account with a linked Winners Circle card, plus you can pay your Winners Circle membership fees online. You can pay your membership fees for 1, 2, 3 or 5 years. You can also pick up an application form in-store. Your Winners Circle card will be delivered to you within 21 days and all cards come with a convenient key ring card that works like a Winners Circle card. For Winners Circle members it’s easy to check if you’ve won a prize. Have your card scanned in-store at a Golden Casket Outlet and the gaming terminal will let you know if you have any unclaimed prizes. All prizes less than $1,500 and Lucky Lotteries free tickets can be claimed at any Golden Casket Outlet that sells lotto games by presenting your Winners Circle card together with your winning ticket. Prizes less than $1,500 and Lucky Lotteries free tickets may be claimed at any Golden Casket Outlet that sells lotto games or Instant Scratch-Its tickets. Some outlets, at their discretion, may pay prizes higher than $1,500 (up to outlet’s payout limit authorized by Golden Casket). If claiming all or part of a prize from a winning lotto ticket which is registered to a Winners Circle card on someone else’s behalf, you will also need a signed letter of authorization and signature identification for the claimant and the registered player(s). First division prizes and Lucky Lotteries jackpot prizes are only available for payment from the first business day two weeks following the draw. All lower division prizes (excluding Lucky Lotteries) are available from 8:30am on the next business day after the draw Street address: 87 Ipswich Road, Woolloongabba QLD 4102 Business hours: 8:30am – 4:30pm, Monday to Friday Or Call Golden Casket on 131 868 during business hours: 8am – 5pm – Monday to Saturday 8am – 2pm – Sunday. You can also download and complete the Prize Claim Form, ensuring that the required details from your winning lotto tickets and/or Instant Scratch-Its tickets are included. Your ticket number can be found at the very top of your lotto ticket and the Draw number and date (where applicable) are found just under the final game. For Instant Scratch-Its tickets the game code is found just under the value of the ticket and the Ticket Validation Barcode number can be found at the top of the ticket directly underneath the barcode. Alternatively, you can pick up a Prize Claim Form at your local Golden Casket Outlet and complete by following the same steps. Your prize payment should be processed and paid within 10 working days of receipt of your claim form by Golden Casket, or after necessary waiting periods as listed. If your lotto ticket (excludes Instant Scratch-Its tickets) is not registered to a Winners Circle card, you will need to complete a Lost or Damaged Ticket Search form which will assist us in locating your ticket in our lottery system. There is a fee associated with this search. Even though Saturday Gold Lotto, Monday and Wednesday Gold Lotto, Oz Lotto, Powerball, The Pools, Super 66 and Lucky Lotteries tickets can be purchased in multiple states, prizes can only be claimed within the State in which the entry was originally purchased. Instant Scratch-Its can be claimed in Queensland, Tasmania or the Northern Territory.